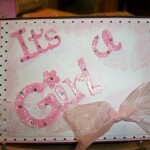 A cute card for a new baby girl . 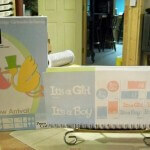 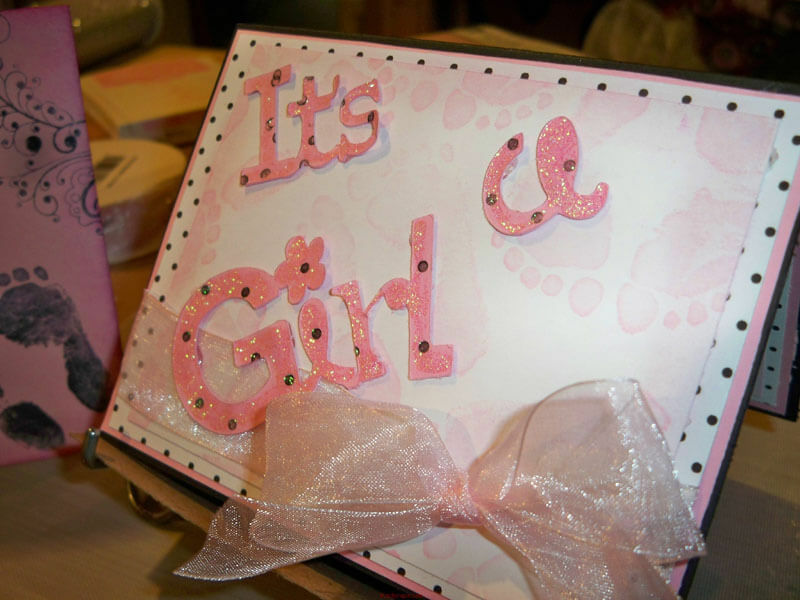 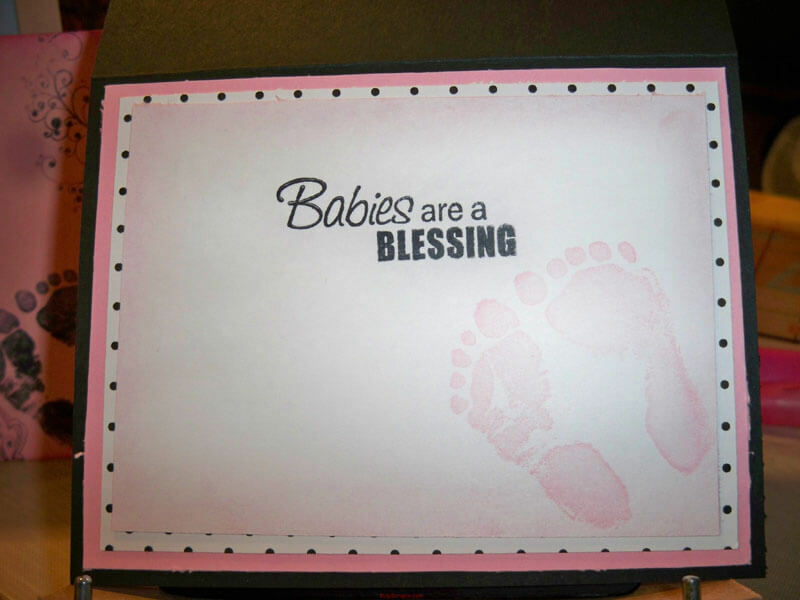 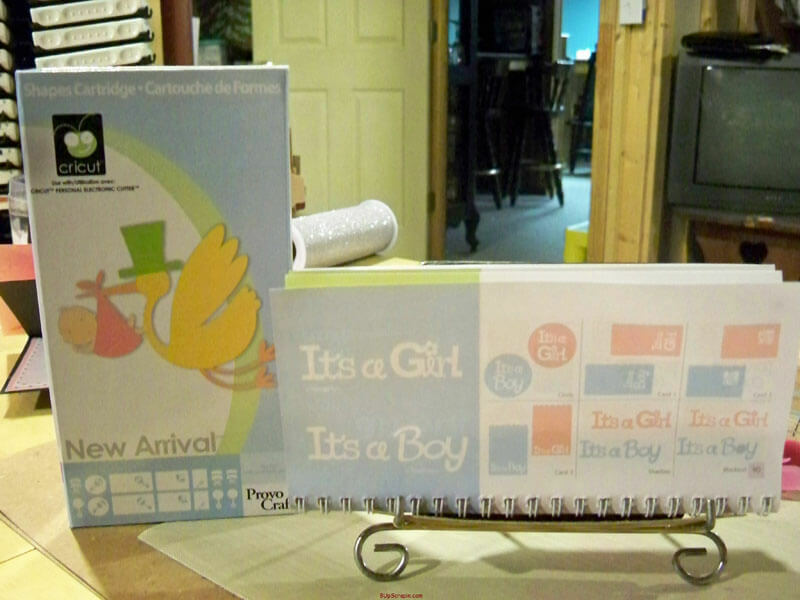 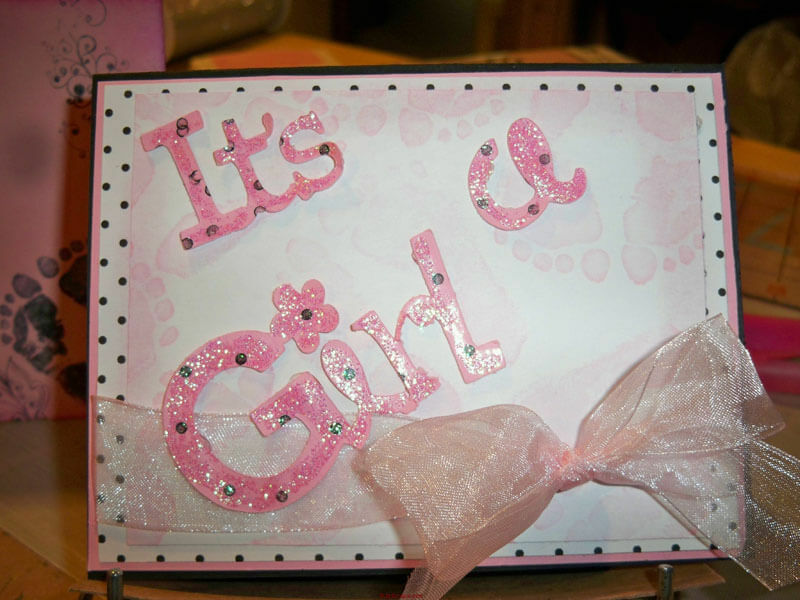 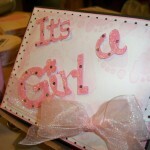 Cricut cartridge used for the phrash “It’s a Girl ” cut from New Arrival on page 90 , cut at 1 1/2″ on It’s ,…. 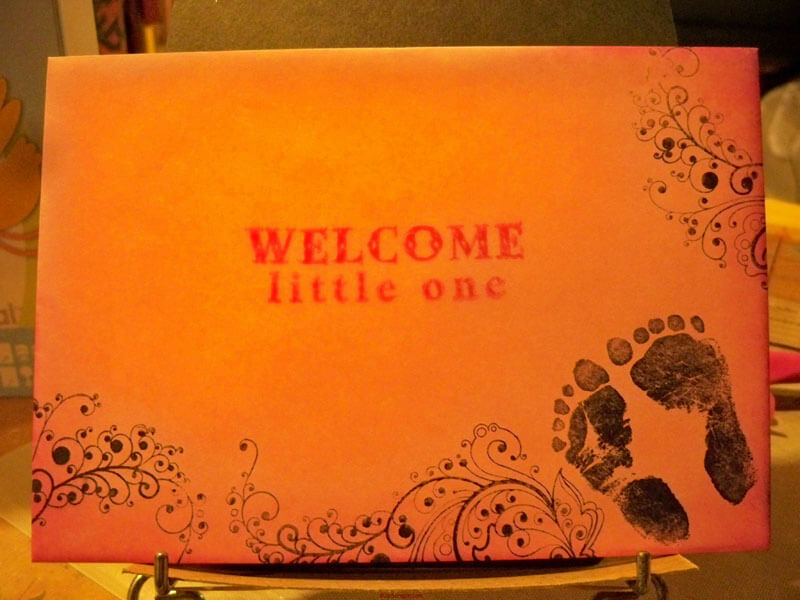 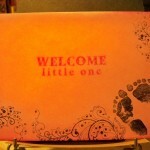 A Girl was cut at 2″ , the little feet rubber stamp was bought Hobby Lobby .